Amanda Denton has more than 15 years of experience representing innovators and creative enterprises with every aspect of doing business in the digital era. She brings her passion for the arts and knowledge of technology industries to each task on behalf of marketing trendsetters, videogame and software developers, FinTech and e-commerce pioneers, major and independent film producers, graphic and visual artists, international fashion brands, sound recording producers and groundbreaking online service providers. 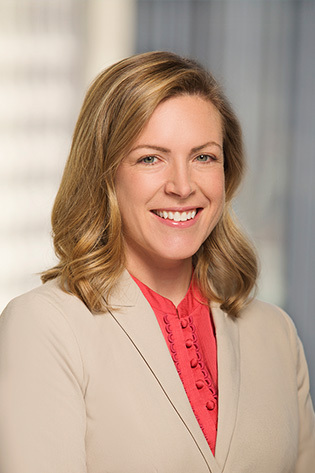 For clients with concerns at both national and international levels, Amanda offers strategic advice, counseling on the nuts and bolts of managing and operating an enterprise, securing intellectual property rights, negotiating transactions, navigating internet regulations and addressing market barriers abroad. She is fluent in French. Prepares and negotiates technology transactions for software-as-a-service providers and software developers. Advises creative content producers in the development and licensing of copyright works. Manages trademark portfolios for local, national, and international brands. Assists marketing and education firms with advertising and privacy compliance matters. Reviews intellectual property assets in corporate matters, mergers, and acquisitions. Secures intellectual property rights, cast agreements, and chain of title, and negotiates national and international distribution on behalf of film producers. Represents companies and trade associations before federal authorities to leverage policy improvements and royalty payments in foreign markets. Served as Counsel for Policy and International Affairs, U.S. Copyright Office. “Arkansas non-compete rules still relevant under new federal trade secrets law,” Talk Business & Politics, (talkbusiness.net) (May 17, 2016). International copyright enforcement: the lasting value of 20th century tools, and the tools of the next generation, JOURNAL OF INTELLECTUAL PROPERTY LAW & PRACTICE, Vol. 10, No. 4, p. 285 (Apr. 2015). Analyzing the Duties Owed by an Artist’s Executive Team, NEW YORK LAW JOURNAL (Sep. 10, 2012) (contributing author with Christine Lepera). Protecting Tech-Savvy Kids Online, LAW360 (Oct. 12, 2011) (with Kimberly Nguyen). Understanding the 2011 Special 301 Report: A Guide for International Copyright Practice, PAT. TRADEMARK & COPYRIGHT J. (BNA) Vol. 82 No. 58 (May 13, 2011).